If you're like me and love all things retro, you are going to love Pepsi's new Throwback look and taste. This spring, Pepsi and Mountain Dew are inviting consumers on a nostalgic trip back in time by offering special retro versions of the two beverages. Not only is the packaging retro cool, but the beverages themselves are sweetened with natural sugar, just like they were in the 60's and 70's. 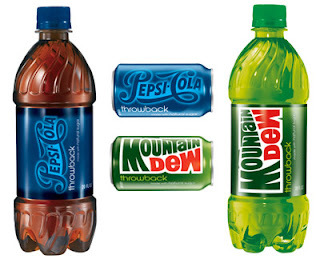 Now you can get a "taste of the past" when you try Pepsi Throwback and Mountain Dew Throwback! "As we revamp our brand with our 'refresh everything' campaign, we want to give a nod to the fun things of the past," said Anamaria Irazabal, director of marketing, Pepsi-Cola North America Beverages. "For some it will be a trip down memory lane, but for others it will be a chance to experience a new twist on their favorite brands." Pepsi Throwback and Mountain Dew Throwback will be available nationwide for about seven more weeks and are available in 20-ounce, single-serve bottles and 12-pack cans. Visit PepsiThrowbackHub.com for cool desktop threads, tools for giving your blog a throwback look, and more! To enter, simply leave a comment on this post letting me know what you love about Pepsi products. Be sure that there is an email address for you that I can find, or your entry will have to be disqualified. WINNER MUST RESPOND TO THE WINNING NOTIFICATION WITHIN 24 HOURS FOR THIS GIVEAWAY. Pepsi needs the winner's information by May 1, so this rule can not be relaxed....sorry! Deadline to enter is 11:59 EST, Wednesday, April 29, 2009. Winner will be selected at random using Random.org. WINNER MUST RESPOND TO THE WINNING NOTIFICATION WITHIN 24 HOURS FOR THIS GIVEAWAY. Pepsi needs the winner's information by May 1, so this rule can not be relaxed....sorry! Good luck to all! Not necessarily a big Pepsi fan, but I love the idea of a "real sugar" cola. And I'd do anything to help my Blonde Blogger twitter friend! I love the great 'refreshing' taste of Pespi products! Thanks for the 'awesome' giveaway offering! Please, include me in your drawing! I like Pepsi in the bottles. I especially like them icy cold. I'm addicted to Diet Mountain Dew! I love the taste of pepsi. Need I say more? YUM! I love Diet Pepsi, it really is crisp and refreshing. I love Pepsi and won't drink anything but Pepsi only have Coke, I'll pass. It's never flat and always refreshing! Love the contest, thanks! Why do I like diet Pepsi better than diet Coke and Regular Coke better than Pepsi? I love that they have a caffeine-free version! I love the taste of Pepsi, but I also like the history. The small town my Dad grew up in was apparently too small for Coke to deal with. They called all pop "Pepsi". I much prefer Pepsi over coke. Whatever Pepsi puts in their sugary bubbly drink, that flavor seems to taste better than Coca Cola. I love that Pepsi is so much a part of my past- of my childhood. I remember the Pepsi party packs they used to give out to all children turning six years old. I like to drink Pepsi when I want something a bit sweet to drink. What do I love about Pepsi? The fact that they car enough to try this. They really listen to their customers. The thing I love about Pepsi is the taste, of course. Pepsi in the 70s, with real sugar was so darn good. I am tickled pink they are bringing it back. What a fantastic idea! Go Pepsi! I don't like Pepsi personally, but my brother loves them. I drink Diet Pepsi nearly every day. My daughter loves Diet Mountain Dew. I'm addicted to Mt. Dew. It's been my vice for years. Love the taste. What I love about Pepsi products is the unique taste. There has never been anything so delightful for my tastebuds as Pepsi! I love the taste of Pepsi, thanks. I love how pepsi's drinks taste like no other brand. I really love Diet Pepsi, either regular or caffine free. I love the taste. It's pleasant and quenching at the same time. Would love to win this throwback Pepsi prize package. I'm also looking forward to giving the throwback Pepsi a try. I drink Diet Pepsi and just plain like the taste. I love the taste of Pepsi, I really enjoy Diet Pesi. I always like a nice cold Pepsi on a hot summer day. I love that they're doing this throwback and putting in real sugar and not HFCS! Keep it forever, Pepsi! I have always enjoyed that is was sweet. I enjoyed Pepsi when it was made with sugar. I do not like high fructose corn syrup. I am looking forward to drink the sugar again. I have a lifelong history with Pepsi, as my grandfather worked for a local Pepsi bottling plant. We always had Pepsi in the house (I remember those 70's green bottles!). To this day, I'm a Pepsi girl! 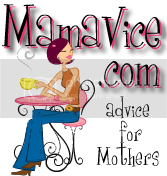 I love Pepsi so much I even have my own blog category for it - check it out!. Pepsi has been my favorite since I was little. I took the Pepsi challange a few years back and was able to pick it out immediately! As a kid growing up in Calif, I miss Pepsi in the 16 oz returnable bottle. It was one of those memories of a product that I can't forget. Now I tend to like a Wild Cherry Pepsi here and there, and the Vanilla Pepsi is not bad, either. I always drink Pepsi and I love the retro lunchbox and lava lamp. i cant find this in the store boo hoo!! ive looked everywhere and i want to try this sooooo bad. im a pepsi drinker from way back, my father was a diabetic and that all we had at our house. Pepsi on ice is just a sweet, tasty jolt during my day! I like Pepsi products because they are tasty and refreshing, and I totally trust the brand. We love the taste, we only buy and drink Pepsi products! I love a cold Pepsi when it's hot out. Thank you for a great giveaway! I love the great taste of Diet pepsi. Thank you! I drink diet pepsi every day and love the taste! I love the regular Pepsi, makes my day! I like Pepsi and have for years, longer than I care to admit. I love Diet Pepsi and Pepsi Max! The Pepsi Max is a new addiction and I do mean addiction. I also blogged about it, give me another chance! I love the extra sweetness of Pepsi. I am also a Mt. Dew fan. I love the taste of pepsi and the colors they use on there cans and bottles. I love the regular pepsi and the cherry one. I love Pepsi and drink it all the time. I have always liked the taste. I am glad they are bringing back sugar. I love how refreshing it is when it gets really hot outside. I love the delicious taste. I love how Pepsi leaves you feeling so refreshed. I grew up in NY and have live in the Atlanta GA area for the last 11 years and I am a PEPSI girl all my life.. and the first time I had Diet Mt. Dew Code Red... OMG, it Rocked MY SOCKS!!!! That is THE MOST Delish drink this side of Heaven! It addictive!!! When I start on it, I cannot stop! I want it for BREAKFAST!!! I swear I can swill a 2L bottle all by myself!!! It is my BFF!!! 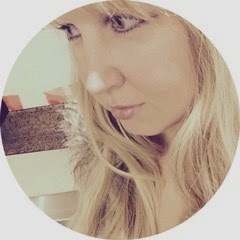 I love this giveaway and since I grew up in the '70's I am a Retro girl at heart!!! I added So a Blonde Walks into a Review on my Technorati Favorites. Love Mountain Dew for years. I love watching my husband sit outside on a summer evening sipping on his Mountain Dew. I like to sneak a sip every once and awhile. It just looks so cool and inviting. It's always delicious. I love the taste of a good cold Pepsi. Its the only soft drink I drink. Diet Pepsi with Vanilla! Yum! I love the refreshing taste!! I love the flavored Pepsi like vanilla and cherry. I love that they are making the retro real sugar Pepsi. I want some! Thanks! There is nothing like a cold pepsi in a glass with ice cubes when the temperatute is 90 degrees.Had a couple of Pepsi's myself today! I try to eat healthy foods most of the time, but there's nothing like a cold glass of Pepsi and ice with a piece of pizza! YUM! I'm a huge fan of caffeine free diet Pepsi! Back in 1971 when I was very small, I had Mountain Dew for the first time on vacation. It was amazing. They didn't sell it where I lived until many years later and it was never quite the same. I can't wait to try the throwback and see if it is the same taste that I remember. When I met my husband my friends called him 'Pepsi' because in my favorite picture of him, he was holding a little glass bottle of Pepsi. So I love my husband the most about Pepsi. Yeah, I have been strange for a while now. Now I'm following your blog. I posted your button. I am just that awesome. 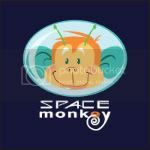 I just faved you on technorati. Seriously, I've done everything short of circus tricks to try to win this Pepsi prize. I've officially lost my mind. What do I love about Pepsi products??? Diet Mountain Dew - need I say more? Delish! I've grown up with Pepsi products & find them always refreshing & current. The Pepsi corporation itself is commited to helping others & I love that. I like that there is a caffeine-free Pepsi, and that it's available at so many restaurants. The taste and coolness of Pepis is what I love. Pepsi is my favorite cola.I'v been a Pepsi fan and drinker since i was a kid. I love the cold fizziness of Pepsi tickling my throat on a hot summer day. Can't beat it! I cannot wait to have Pepsi and Mountain Dew with real sugar again! I love Pepsi -- so much better than the second place cola! I loved the Pepsi with lemon in the 1970s, and now I'm a die hard diet pepsi drinker. i love Pepsi because it's advertising doesn't feel like it shoved down my throat. Their soda is good and it's not too sweet for my taste. ty. Pepsi throws me back to 30+ years. My mom was an addicted (still is!) Pepsi drinker. I can remember hauling those 8-pack tall bottles of Pepsi in the cardboard holder into the house on each grocery shopping trip. Mom was the only one that could open a Pepsi, but if she sat it down it was gone because me and my sisters would sneak sips of it. Good memories. I can also remember the fat bottles with the styrofoam around them, after you drank the pop you would slowly pull the strofoam down 1/2 way off the bottle than slam it for a loud pop (like a bag). I've also been around long enough to remember pull tabs, we would go camping and so much pop would be drank we could make jump ropes, necklaces, you name it out of curling one tab around the other. Doesn't take much to amuse little kids does it? LOL. Thank you for the chance. I am looking forward to trying the new (old) Pepsi throwback. I grew up drinking Pepsi. I love the taste of it. I love the taste! It goes perfect with a hamburger and fries. Yummy! I like Pepsi because it reminds me of being a kid in the 70s. I love that Pepsi is so refreshing, especially on a hot and muggy day. Our family are big Pepsi and Mt. Dew Fans. We love the taste and they are perfect way to get refreshed! I have great memories of our family reunions. They would put Pepsi bottles in ice and water in those big wash tubs. It was like heaven on a hot summer day! Thank you for the sweeps! I love Pepsi. I've been drinking it since I was a kid. I love the taste. Beyond the great taste of Pepsi products, I'm especially fond of the two options that give me a much-needed burst in caffeine in the middle of my work day: Diet Pepsi Max and Mountain Dew, both of which got me through college and grad school as well! This is such a cool giveaway - thanks for the chance to win! I'm a follower (guettel78) - thanks! I love the retro look of Pepsi. There was quite a while "back in the day" when Mountain Dew was THE caffeine source of Choice!! Diet Mountain Dew Code Red -- sometimes hard to find, I suspect because it disappears off the shelves. Guilty, your Honor! Pepsi is my favorite soda drink because it's not too sweet and refreshing! Coke is too sweet, Pepsi is just right! I don't like the cinnamon aftertaste in coke. Pepsi is just right an now finally no HFCS, great! I like Pepsi because it always refreshes and always tastes the same, and because of that old skit on SNL in the 70's - Pepsi, no Coke!!! I'm also following your blog. Thanks! I like the taste of Pepsi. It is bold. No other cola tastes like it. I'm not a coffee drinker, my morning wake-up is a can of Pepsi. I love the taste and nothing refreshes like an ice cold glass of Pepsi on a hot day. It tastes good, I have memories of drinking lots as a kid. I wish it would be available with real sugar all the time. I think it's amazing how many products they make in addition to pepsi. They even make my old favorite Munchos chips! My favorite thing about Pepsi products is the taste. Love the taste of Mtn. Dew, there is nothing else like it.